While other court reporting agencies rent rooms from Regus and put the charges on the client, Lake Cook Reporting does it differently. We’re in the business of providing our clients with the best service at a reasonable cost. As part of that philosophy, we offer free deposition suites to our clients when they use our court reporter. 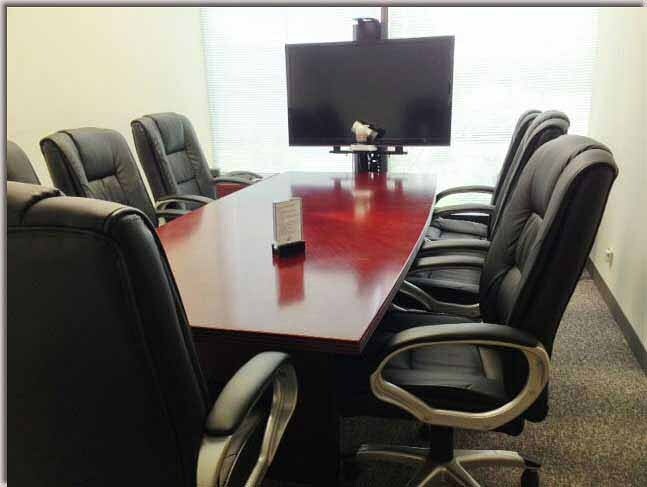 At Lake Cook Reporting’s main headquarters in north suburban Bannockburn, we feature four conference rooms capable of hosting a variety of needs. 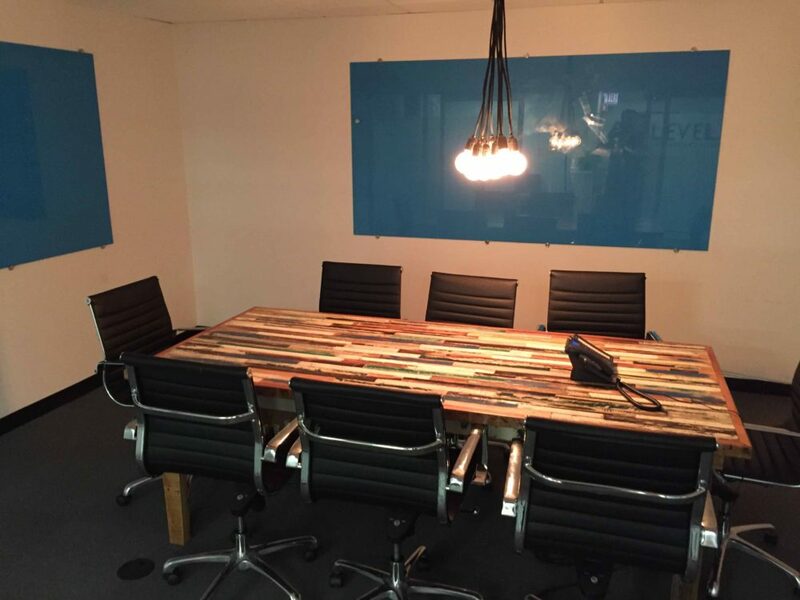 Our largest conference room, capable of seating up to 12 people. Our facility’s premier room, a 14-person boardroom style conference room, features spacious accommodations, large glass windows, a single-serve coffee/tea/hot chocolate machine, and a direct fax line. 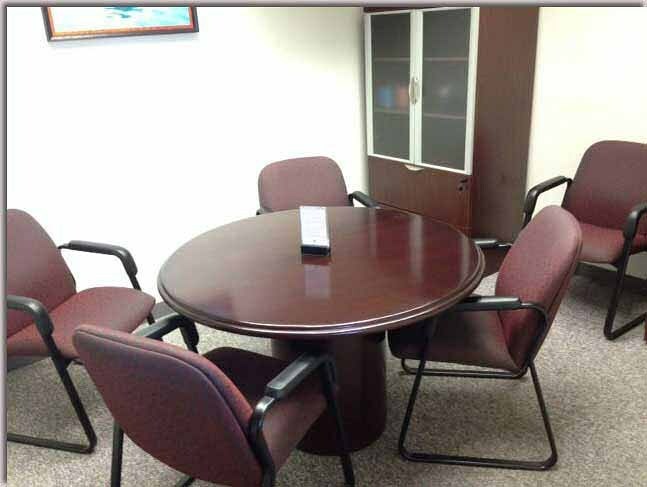 Small conference room available for pre-deposition meetings. We offer one small conference room suitable for small four-person depositions or free pre-deposition prep meeting spaces. Racetrack Conference Room in Video Conference Configuration. 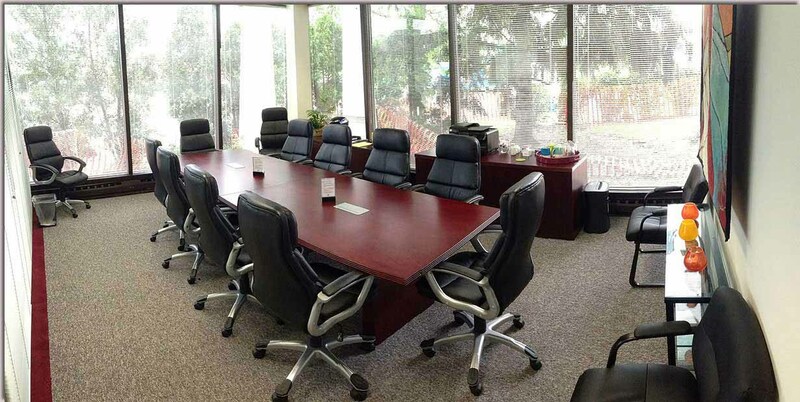 Our facility also includes two larger conference rooms, both capable of seating up to six participants. HDTVs suitable for presentations, internet, copying/faxing, and more included on-site. 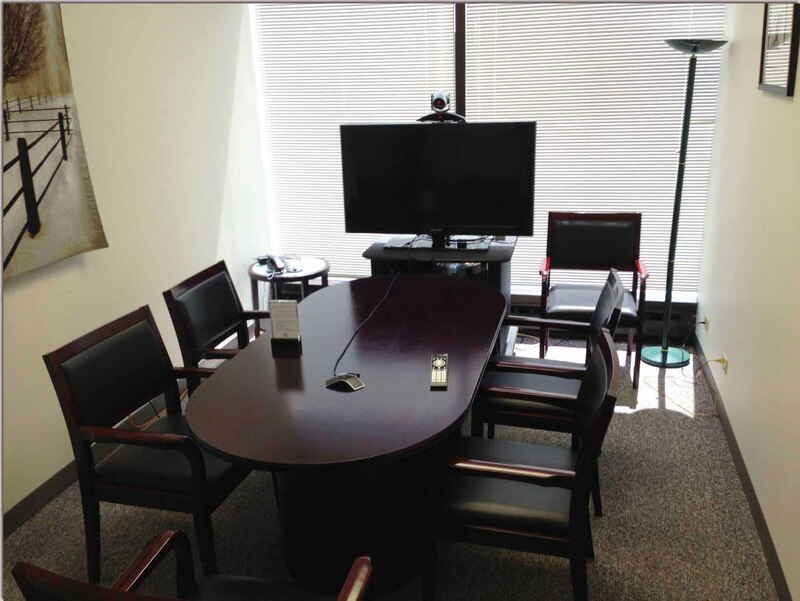 All conference rooms at Lake Cook Reporting’s Bannockburn location come equipped with video conferencing capability included at an additional charge. Starburst conference room in video conference configuration. Book free deposition suites online today! Our court reporting services, which include free deposition suites in Chicago and north suburban Deerfield, can be booked from our website. Simply visit the Lake Cook Reporting Online Scheduling Form, select that you wish to use our conference rooms, and we’ll take care of the rest! You can also Contact Lake Cook Reporting Online with any questions.